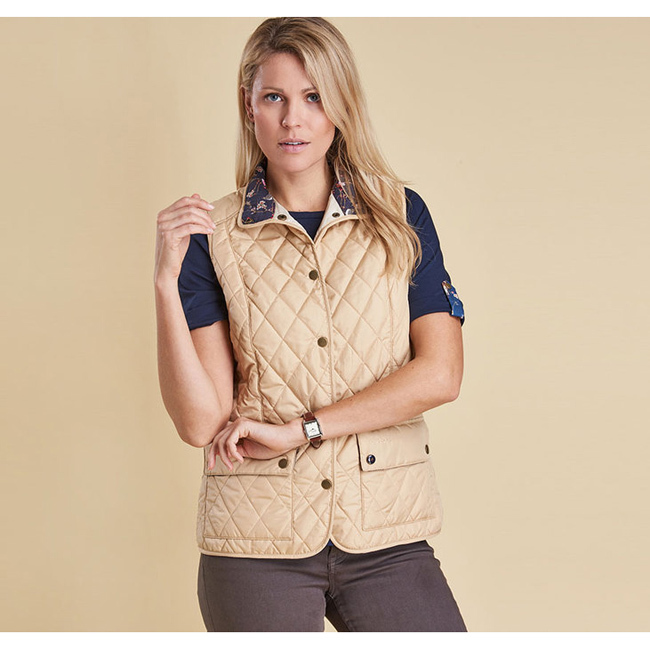 The Landry Gilet is a versatile winter layering piece that offers superb warmth. 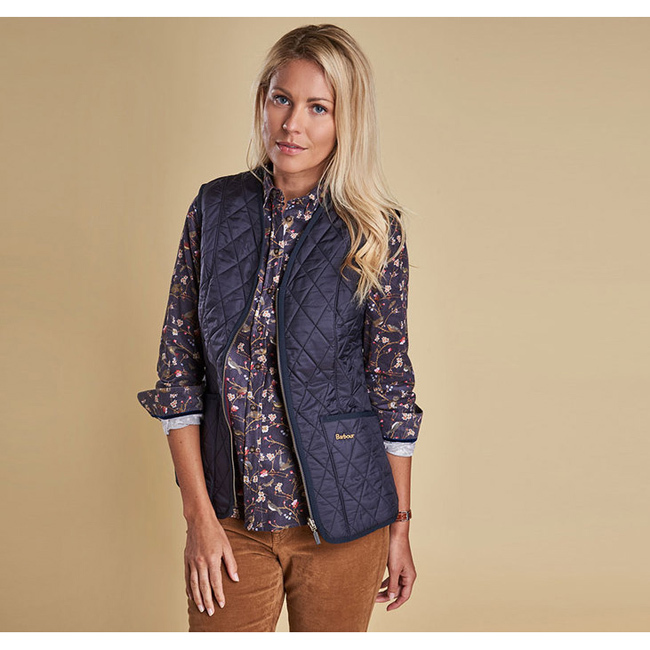 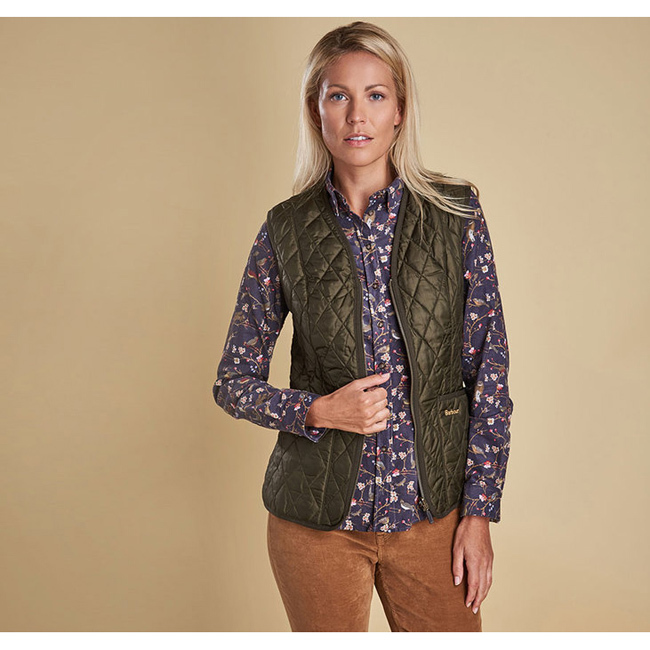 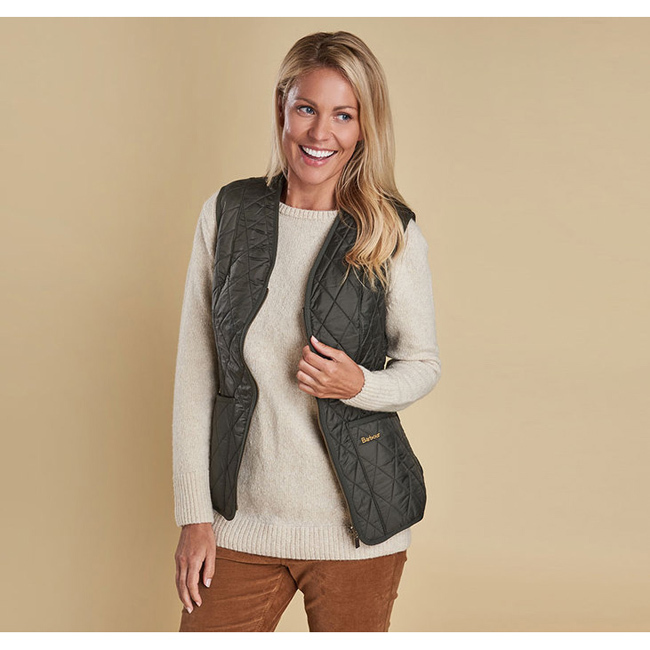 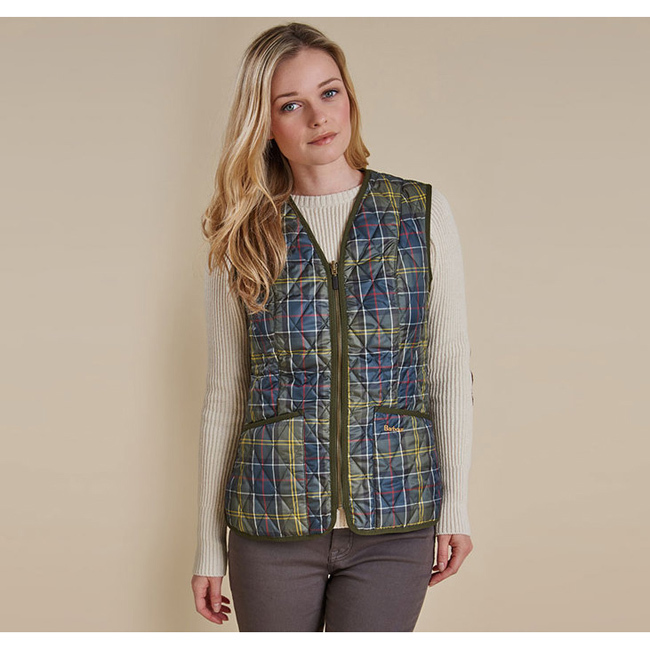 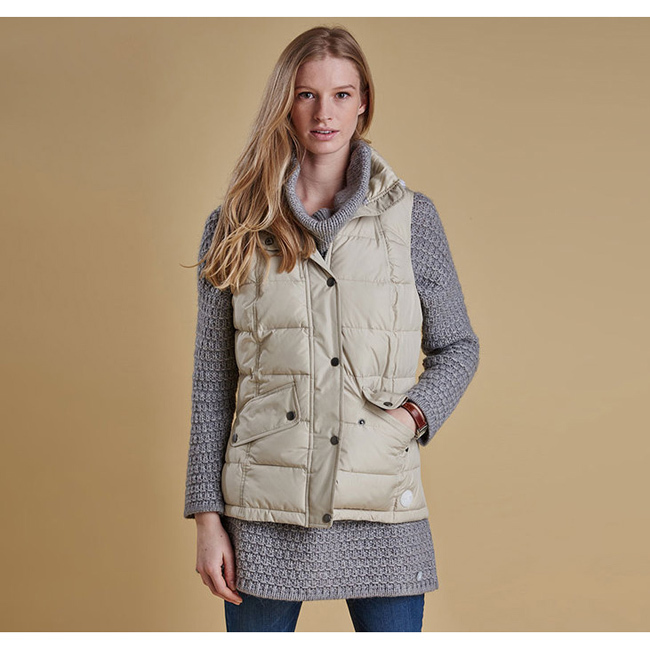 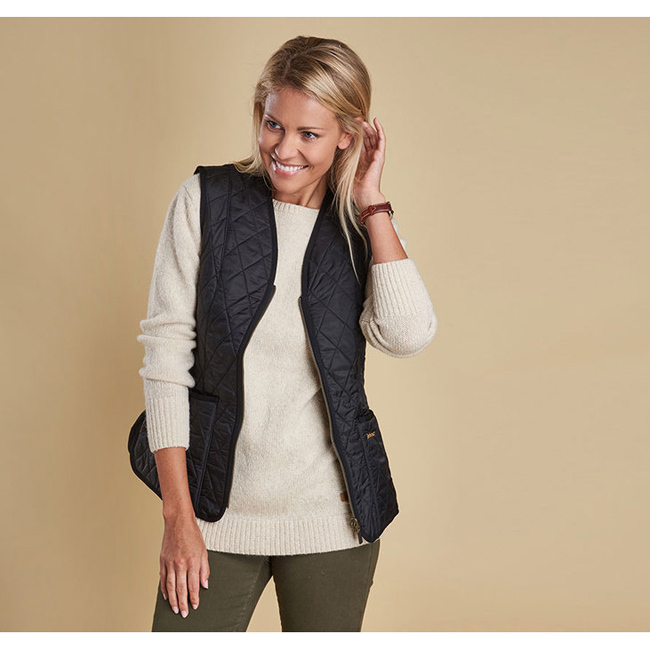 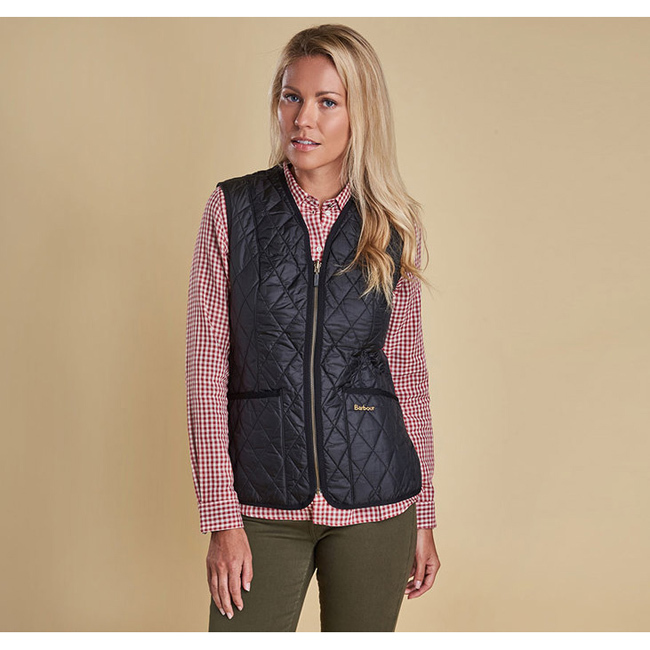 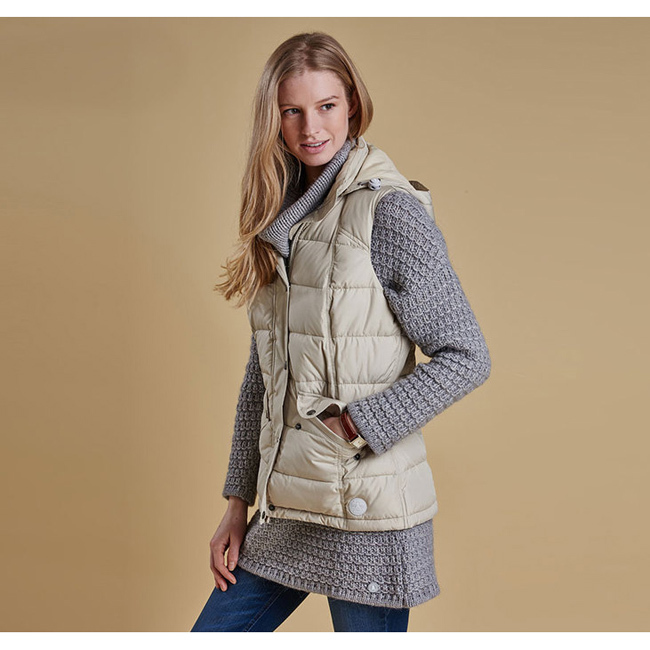 This stylish women’s gilet is crafted with a horizontally quilted outer and a cosy fleece lining that feels exceptionally soft against the skin. 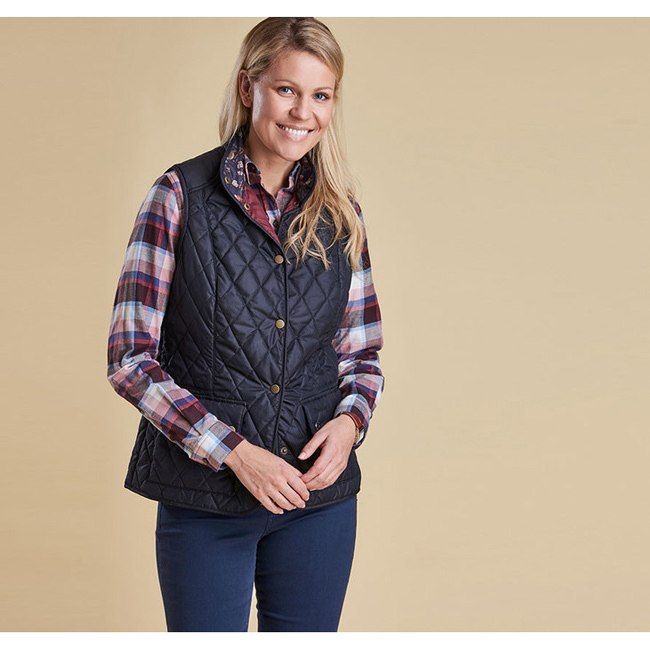 A robust zip and stud-close placket fasten through to a funnel collar with a generous detachable hood and a multi-studded throat tab taken from Barbour’s archive, while two flatteringly angled hip pockets are perfect for keeping essential items close by. 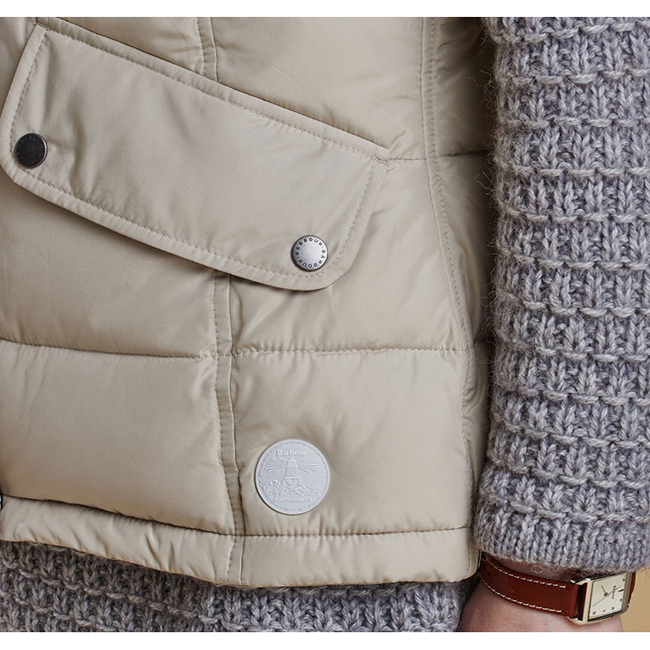 Curved body seams are designed to emulate the appearance of map contours – a nod to Barbour’s historic supply of protective outerwear to polar explorers of the early 1900s.